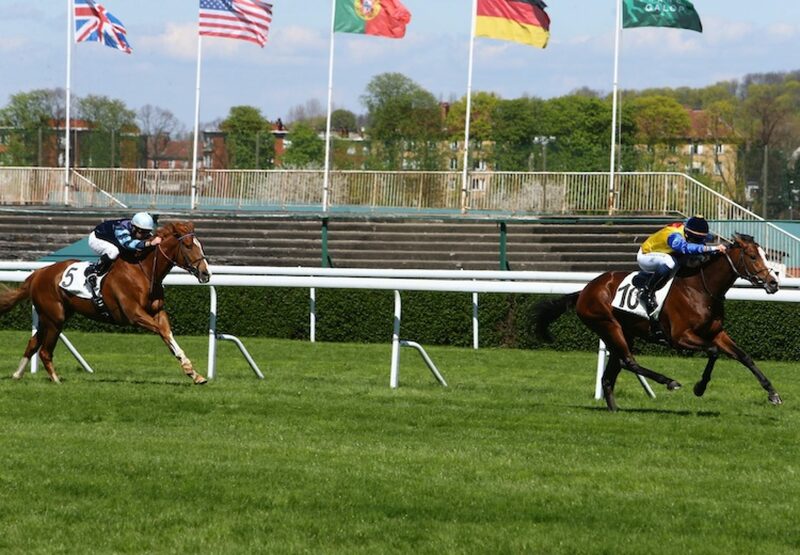 The Nicolas Clement-trained Private Affair (3c Pour Moi-Private Eye, by American Post) began his career in the best possible style when scoring on his debut at Saint-Cloud on Monday. The first-crop Pour Moi colt, a €100,000 Arqana yearling purchase bred by Hilary Erculiani, carried the colours of Frederic Sauque and Simon Llloyd to a four-length success. Pour Moi is standing for €10,000 in 2016.